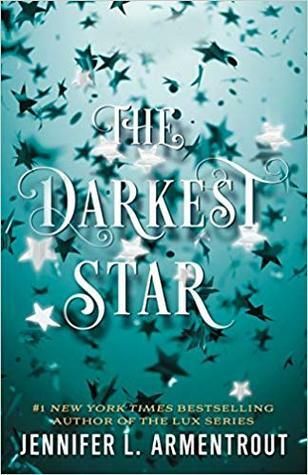 Evie is a teenage girl who follows her friend to a club called Forsaken, a club where anyone is welcome, including other species like the Luxen. When the club is raided, Evie finds herself in the hands of Luc, a mysterious not quite human, not quite Luxen man. The more she gets to know him, the more secrets are revealed to her, ones she never expected to find out. This is a wonderful spinoff series of the Lux series starring Luc, our favorite Origin. You can tell this is a book made with love, and one done for the fans of the series and I think Jennifer did a fantastic job. I’ve been having trouble getting sucked away into books recently, and picking up a new book from JLA was like returning home. I fell effortlessly into the pages and read it from beginning to end all in one day. There’s something about her writing that I connect with easily, it’s like picking up with an old friend right away after not having seen them for a long time. I really enjoyed the story, I thought it was very compelling, even if somewhat predictable. Luc is basically Daemon Jr and many fans will love that. I didn’t give 5 stars because it isn’t perfect, but I think it’s a great start to a new series and I cannot wait to read the other books and see the future development of this world and these characters. I wish there had also been a tad more angst, but I’m hoping it will come later.